All events below are, once again, surgically enhanced, but based on real happenings, ( yes, honestly! ). Any likeness to persons living or otherwise is entirely co-incidental. Names have been changed to raise a cheap laugh. I stumble out of the shower, my modesty ineffectively being covered by a small hand-towel. 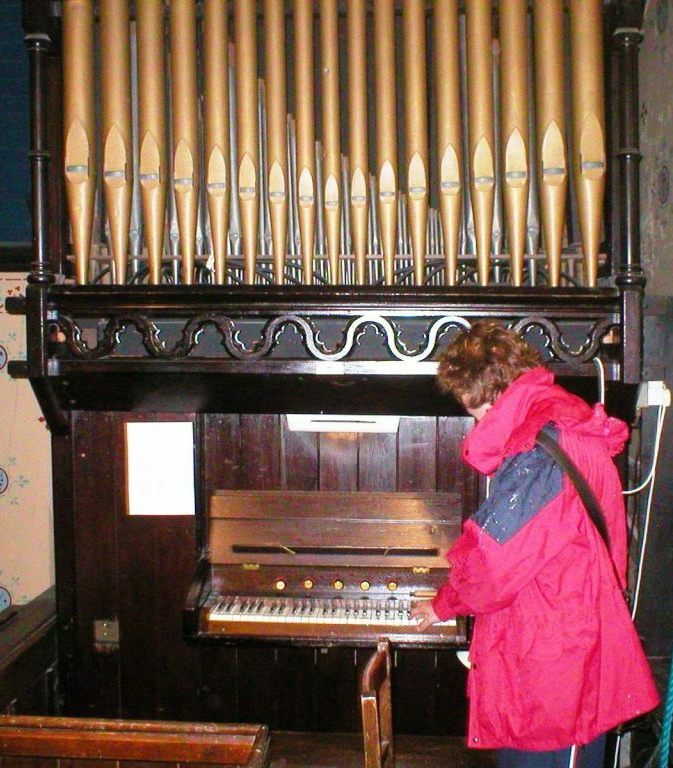 ‘They have got an organ there, although I don’t think it’s used that often’. ‘ I can well imagine ‘. ‘ They’re not a musical couple, so I thought of the “Trumpet Volunteer” to come in to, and Brünnhilde’s sister Fortuna is going to sing during the signing of the register. She hasn’t done much singing on her own in public since she was at school – but she used to be very good, she got a merit on her Grade 2’. ‘ “Memory”, but the tune is all wrong. She can’t reach the notes in the high bit, and the low bit is too low for her’. ( I reach for the pen, lose the towel and frighten the windowcleaner, who runs away). ‘ I don’t usually rehearse the entry music with the bride that often, but I can make sure that the music reaches a suitably majestic crescendo when she appears – I’ll pull out the 4 foot flute, and the effect will be theatrically stunning, I’m sure’. ‘ Well the vicar there said that 5 rehearsals was too many – but it has to be right, hasn’t it? I mean, the dress is costing us £35,000 – it’s being specially hand-stitched by nuns from Norway. And we’ve had to pay out for the ‘Hotel Louche’ which is the best part of £100,000 – then there’s the ‘Kajagoogoo’ tribute band, another £5,000 and the cake, the bridesmaid’s dresses, the vintage cars, not to mention the honeymoon, suits, rings, flowers, stag night, hen night, chocolate fountain, photographers…. Hilarious! So none of us needs our endless piles of music then! Sadly, very true. Gave me a good stroll down memory lane. Have played pipe organs for almost 50 years, the last 32 at my home church. 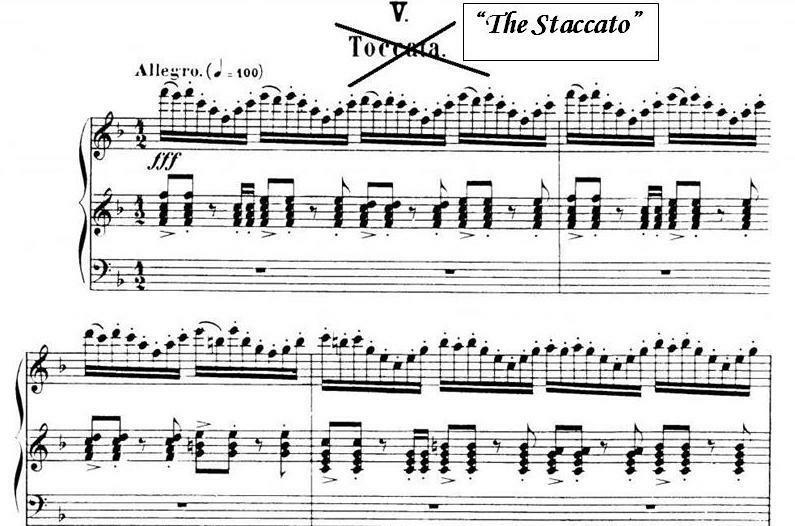 Have been asked to play the “Weedoor Toccatta”. A few folks have thought my fee was too high and would look for a cheaper one–(probably someone who plays barefoot.). My biggest peeve has been vocalists who have no music, learned song from a tape and want it duplicated on the organ. Oh well. I am hanging up my shoes in a few months. I have just spent a happy hour giggling my way through your various blogs. Well done! 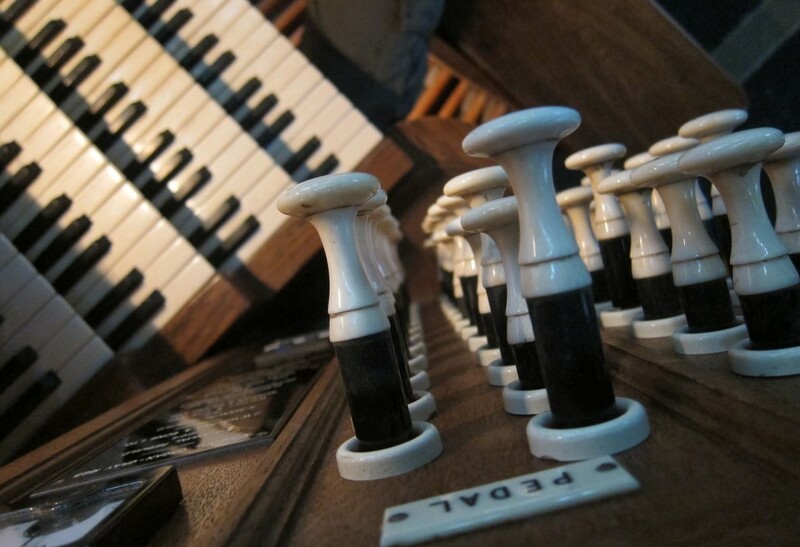 As an organist myself I have had many similar experiences: soioists for weddings turning up with no music and no idea of the key they want for “Avy Marieahhh,” promises that the same piece will be played by a CD only to have to fudge it on the organ without music when the CD has been forgotten by the person who promised to provide it, A Christmas Bride being over an hour late because of an “underwear emergency” and the choir filling in by singing through their whole repertoire of carols including “Twelve Days of Christmas” and “Santa Clause is coming to Town,” a request for “The Ride of The Valkyries” (declined) for the entrance of the bride and a performance of Mozart’s Requiem, with orchestra and organ when the key to the organ was only found twenty minutes after the rehearsal began, only to find that the organ was a semitone sharp. Well done again! Keep it up! My mother-in Law was Mayor of St Edmundsbury some years ago. Margaret Horbury was her name. Mark Blatchly was my Assistant at The King’s School Gloucester during my time there. I was once Assistant at Chichester Cathedral under the late John Birch. Thank you for your kind comments, Ian. Writing a blog has been good therapy! Well, I played a wedding and the recessional was Another One Bites the Dust. The people who knew the song, thought this was the coolest church. The people who did not know the song, thought it was a cool new recessional. Can you play that wedding song “Duh dunt dunt duuuuh” on the guitar? Would that be the same as the Taco Bell Canon? Oh, Adrian, I am weeping with laughter…. This is the best, EVER!! But there was one – no, two things which appealed particularly. ‘Memory’ is one of my Party Pieces – the only thing I sing which is composed by someone who isn’t dead. I have sung it many times, including a concert at The Stables (the Dankworths’ theatre at Wavendon) when I flatly refused to be accompanied by a ‘keyboard’ so got the Steinway (and my accompanist said exactly the same thing re dead composers applied equally to him!) The other was when I went to my bel canto teacher, and her husband – also Church Organist and Choirmaster said when, (after WEEKS of no singing, just pulling stupid faces and saying tongue twisters) I gave him my music : ‘Lovely, duck! Do you want it in this key, or would you like me to change it?’ Wonderful!